Let's begin with bettering one life at a time! 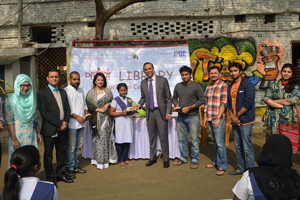 IPDC hands over books to Jaago Foundation School. 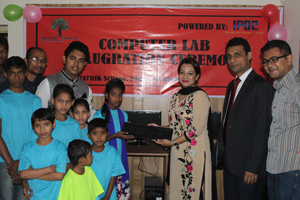 IPDC Computer Lab Inauguration Program- 2015. 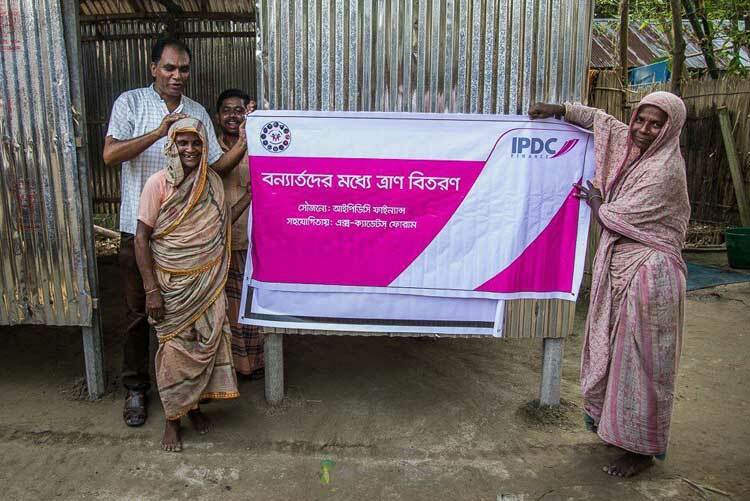 IPDC Finance Limited, the first private financial institution of Bangladesh established in 1981, has handed over sewing machines to the women selected from Mollah Slum located at Mirpur under the ‘Shokhom Project’ of Obhizatrik Foundation. This handover program was held today, on 13 December, 2018 at Obhizatrik Foundation Head Office located at Mirpur, Dhaka. To ensure the means of livelihood of people who have lost everything in the fire that razed in Mollah Slum located at Mirpur-12 on this year’s 12 March, women victims of the slum were provided a free three-month sewing training under the ‘Shokhom Project’. Everyone who has participated in the training was provided the certificate and some selected participants among them have got the sewing machines. From now on, these women will be sewing under the same roof and this concerned is named as ‘Ucchash Tailors’. 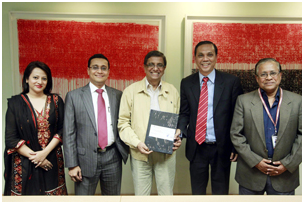 Mominul Islam, MD & CEO, IPDC Finance Limited; Mahzabin Ferdous, Head of Brand and Corporate Communication, IPDC Finance Limited; Afifa Sultana, Specialist-Brand and Corporate Communication, IPDC Finance Limited; Ahmed Imtiaz Jami, Founder, Obhizatrik Foundation and others were present at the handover ceremony. Obhizatrik Foundation is a government registered organization working towards overcoming the socio-economic challenges in Bangladesh. Since, our establishment in 2010 we have been actively working in the following sectors: Poverty elimination, Education, Health and Nutrition, Human Rights and Environment. IPDC Finance Limited distributed blankets amongst the underprivileged people in Kosba, Brahmanbaria. Blankets were also distributed in Latar Char; Patuakhali, Kurigram and Son Pocha Char; Bogra. In the photo from left to right, The Upazila Nirbahi Officer (UNO), Brahmanbaria Sadar, Jannatul Ferdous; member of the Board Audit Committee of IPDC, Md. Enamul Hoque; The Managing Director and CEO of IPDC Finance Limited, Mominul Islam; the DMD and Head of Business of IPDC Finance Limited, Rizwan D Shams; the Company Secretary and Head of Legal Affairs, Samiul Hashim & other senior management were present during blanket distribution. 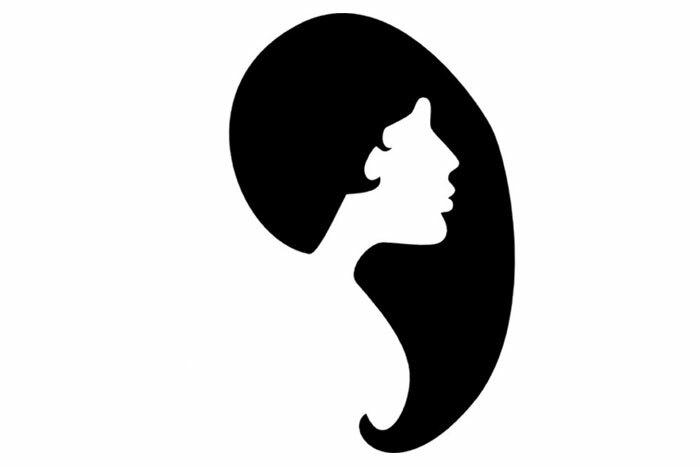 IPDC Presents Women Travelers campaign in association with TripZip organized workshops across universities on scopes and struggles faced by women in travelling. 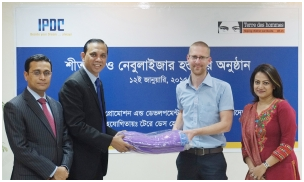 The workshop was conducted in Chittagong University, United International University and Daffodil International University. The session ended on a round table conference with Chief guest Chairman of Tourism Board and 15 panelists from corporate world, academics and media houses. 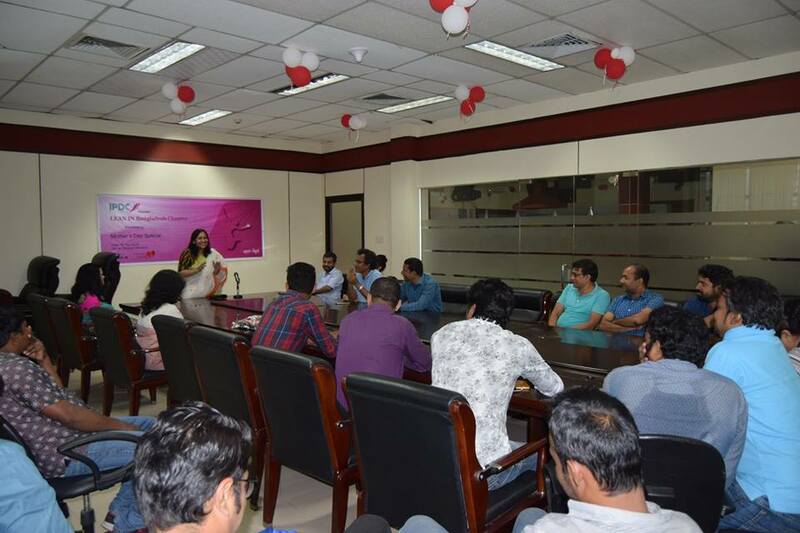 IPDC Presents “LEAN IN – Bangladesh Chapter” in association with Moner Bondhu & Lean In International founded by Sheryl Sandberg, who is also COO of Facebook. These sessions will take place monthly addressing different issues faces by working women, working mother, mental health awareness and yoga sessions. 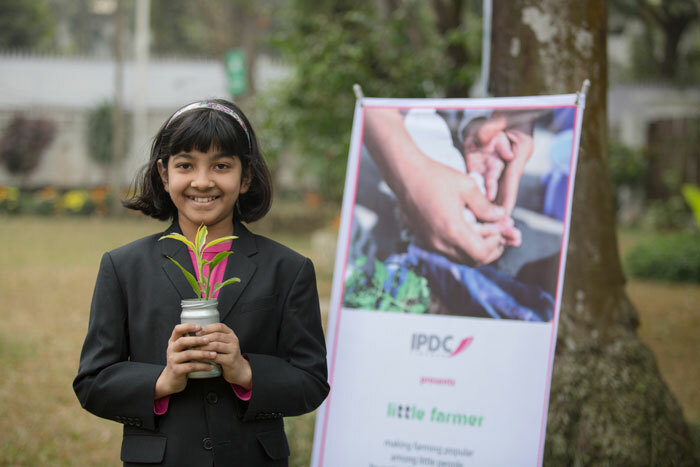 IPDC Finance Presents LITTLE FARMER, a one of kind initiative organized by Nagarkrishi at the British Council campus. Around 50 students aged between 6 to 12 years participated along with their parents. Children learned the importance of tree plantation, rooftop farming, indoor plants, aquaculture, rooftop fish farming, insect museum, and quizzes. The aim was to inspire a generation connected with Earth and conscious about the future of our planet. At IPDC Finance, corporate social responsibility is not merely a redressal for its offhand operations but well-crafted tales of joy and sustainability. To be able to maintain oneself without the aid or charge of other is the greatest virtue. IPDC Finance with its small steps, distributed rickshaws to empower people by making them self-sustainable and free them from the pressure of their owners. Moreover, IPDC Finance itself bears the monitoring costs to ensure the upgrade of their livelihood after bringing in a sustainable source of steady income. The first ever in-house social service club was founded in 2017 by the employees of IPDC Finance themselves. With this, IPDC Finance becomes the first ever institution to include voluntary hours in its job description for every new employee. 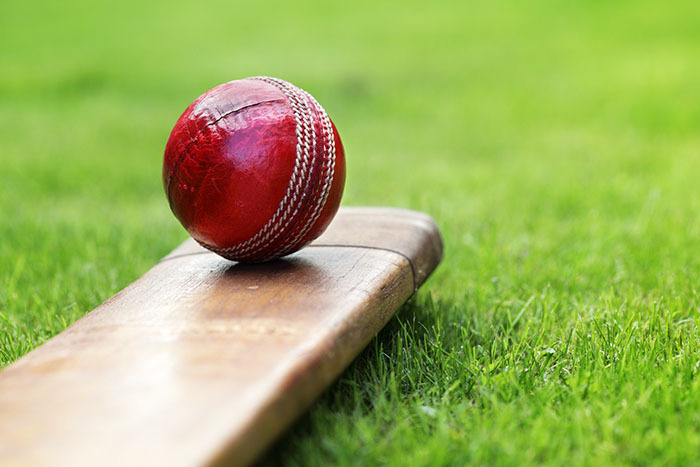 The sole purpose of the club is to inculcate empathy and benevolence among the employees of the organization as well as covering wider scopes of generous activities that were unable to accommodate within the corporate social responsibility budget of the company. 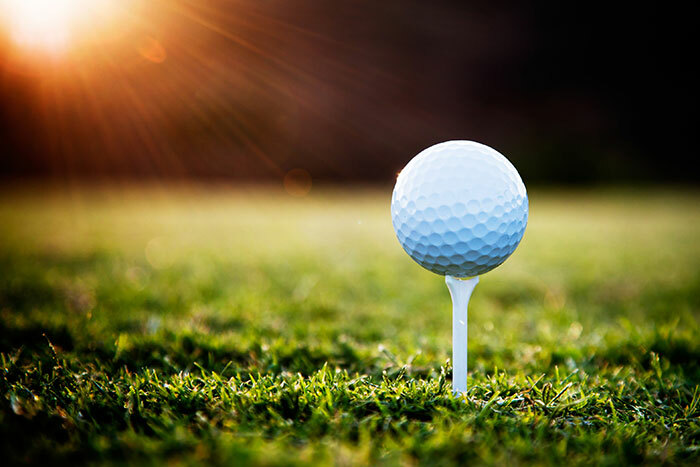 Every benevolent activity was measured in terms of voluntary hours which were further categorized at the individual as well as organizational level. Under this, employees observed Public Transport Day, Clean Workstation Day, Share a Meal Day and so on. 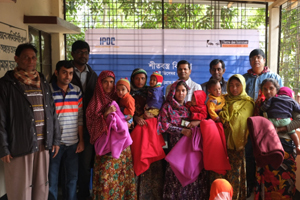 IPDC Finance Limited has recently distributed blankets & nebulizers amongst underprivileged people in Rajarhat, Kurigram in association with Terre des Hommes (TDH). Mahmudur Rahman, Branch Manager of IPDC Finance Limited, Bogra Branch; Dr. Md. Nazrul Islam, DDFP, Family Planning Department, Kurigram; Md. Tazul Islam, Chairman, Bidyananda Union Parishad, Razarhat Upazila, Kurigram and Mr. Nitya Kumar Kundu, Project Officer-Health & Nutrition, Tdh Foundation were present at the ceremony. 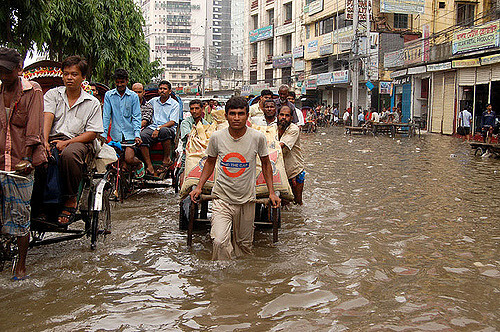 IPDC Finance limited, the first financial institution of Bangladesh established in 1981, has come forward to contribute for the flood affected people. 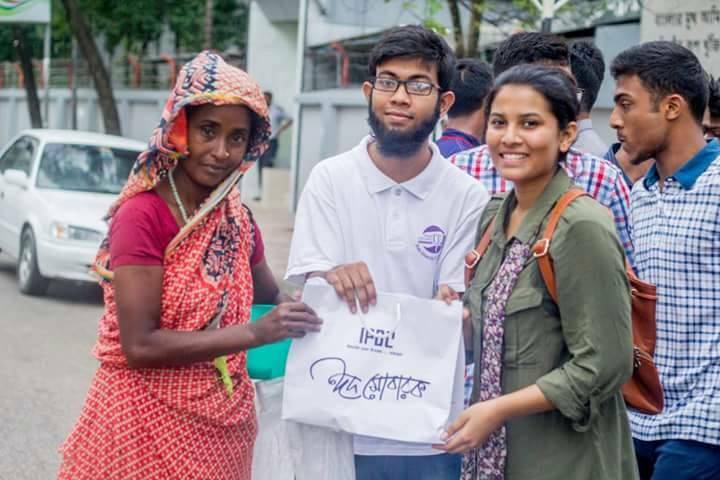 Ex-Cadets forum, an organization of alumni and current students of Bangladesh National Cadet Core has organized different activities to ease the post flood situation for the flood victims as the water level is decreasing. The activities included in the program do not only cover donating food and groceries or setting up medical camp but also building home in areas like Vaturia, Dokkhin Maijhail, Belkuchi in Sirajganj District, considering the long term sustainability of the relief for affected people. IPDC Finance Limited, the first financial institution of Bangladesh established in 1981, stood beside elderly of Apon Nibash Briddha Asroy Kendro. IPDC Finance Limited donated medicine, walking sticks, plastic chairs, cookeries, toiletries, commodities, groceries, clothes, stand fans, gas cylinders etc at Apon Nibash Briddha Asroy Kendro in Chandpara, Uttarkhan. "RCSSC" "Rajuk College Social Service Club" a non-profit club of Rajuk Uttara Model College volunteered and coordinated the whole project. Started as an informal arrangement in Ramadan of 2015, the Apon Nibash Briddha Asroy Kendro was set up by Syeda Selina Sheli to give shelter to abandoned, isolated and underprivileged older women in Uttara's Chandpara, Uttarkhan area. 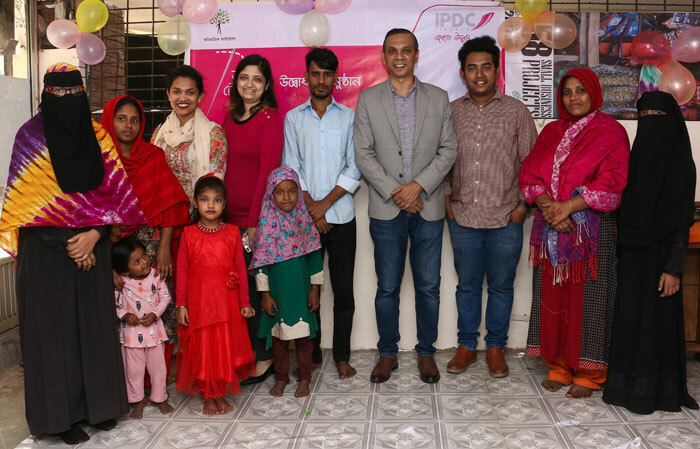 IPDC came forward and stood beside Apon Nibash, in an effort to sustain its day to day noble work to help the solitary and underprivileged women of the society. At heart-warming and humbling situation took place during the donation ceremony at Apon Nibash in Chandpara, Uttarkhan. Present in this ceremony were IPDC Finance Limited’s Managing Director & CEO Mr. Mominul Islam, DMD & Head of Retail Business Mr. AFM Barkatullah, Head of Corporate Communication Ms. Mahzabin Ferdous, Ms. Syeda Selina Sheli, Owner, Apon Nibash Briddha Asroy Kendro, Rajuk Uttara Model College’s Vice Principal, Exam & Coordination Mr. Dewan Mohammed Tamzidujzaman and Ms. Asia Khanam, Moderator. IPDC Finance Limited’s Managing Director & CEO Mr. Mominul Islam said "The wellbeing of a country’s senior citizens is a responsibility of the privileged, affluent citizens. Our insignificant effort to help the elderlies with their daily necessities is part of our commitment to reach out for people in need. We believe our effort will bring unbound joy to the daily lives of these people. We will continue to help and support the elderly people of our community in the unbound years to come"
The game brought together players from all ages and genders and IPDC made sure the tournament is carried in the most sophisticated to spur out its inherent spirit. IPDC did not go by convention of sponsoring a cause simply in terms of money but selflessly went ahead by setting a booth activation in the IPDC Head office premise. All the employees were made to enter the dark box wherein they were made to hear a voice over of a blind kid expressing his desire to get a sight of his mother like every other person in the world. The activation stirred the people emotionally leading them to come forward in assistance of those kids. Apart from this, more than 90 corporate houses went sent invitation and call for a voluntary participation in the cause by conveniently purchasing the tickets for the concert. That in turn had received enormous response ensuring the smooth journey of those kids. Journey for Child’s Right and Sight Concert was held on February 3, 2017 (Friday) at Krishibid Institution Bangladesh Auditorium with renowned artists namely Sabina Yasmin, Babita Akhter (Actress), Aiyub Bachchcu, Hyder Husyn, Syed Abdul Hadi and many more. This was indeed one the noble cause that IPDC feel pride to own. IPDC believes such an effort has undoubtedly led a significant impact which will leave an impression for unbound years to come. 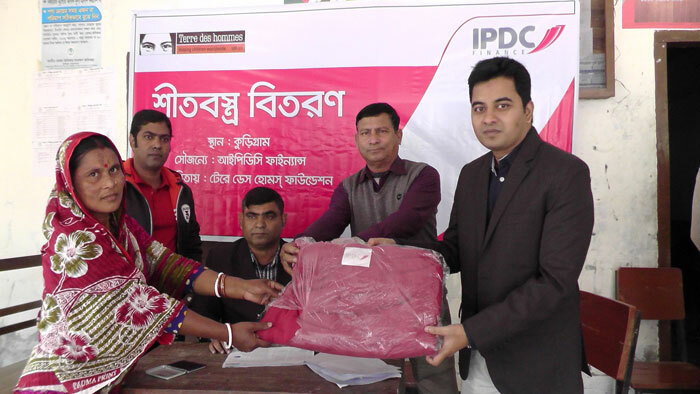 IPDC Finance Limited has recently distributed winter blankets and nebulizers amongst the underprivileged people of several Upazilas of Kurigram and Rangpur.Mominul Islam, MD and CEO, A.F.M. 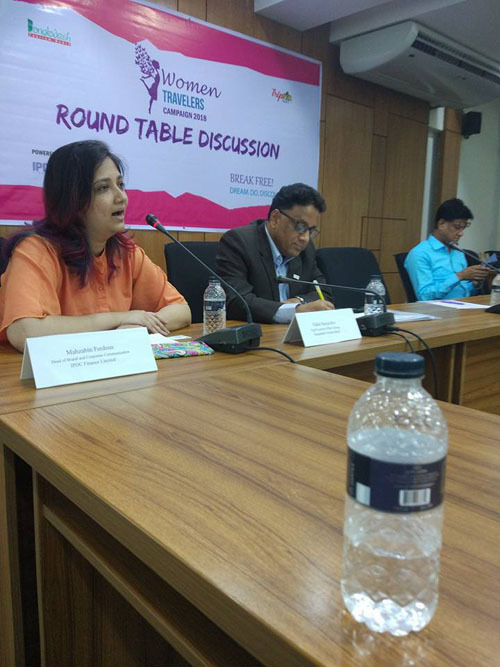 Barkatullah, Deputy Managing Director and Ms. Mahzabin Ferdous, Head of Brand and Corporate Communications of the company were present among others in the programme. IPDC came ahead to relieve their distress with an amount for its fastest recovery. 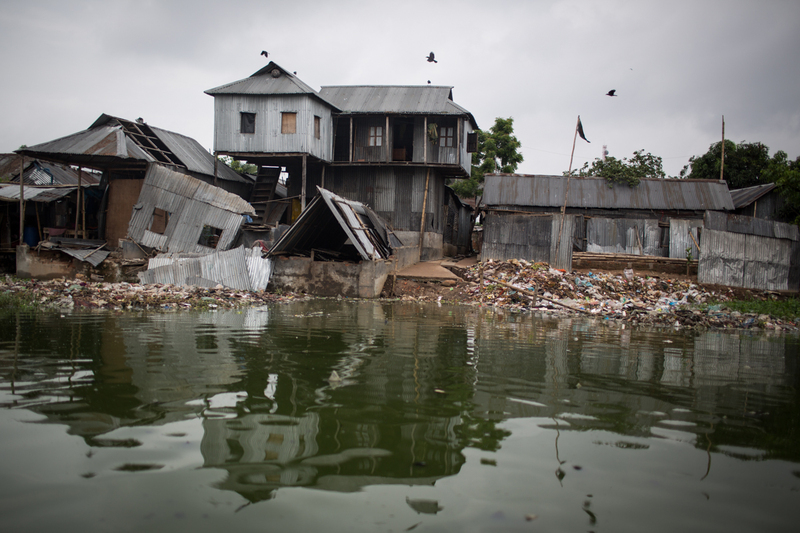 They took some notable initiatives to help the people overcome such an unprecedented and difficult situation. IPDC donated money to BRAC to stand beside the people of Korail slum. They also donated blanket and medicine to the underprivileged cold affected people. Around 5100 people were benefited by this initiative. “The journey of a lifetime starts with the turning of a page”. A library is a treasure-house of knowledge. IPDC acknowledges the fact that library in the villages can contribute enormously in the educational development. So, the company initiated this program to provide children with the resources of education. 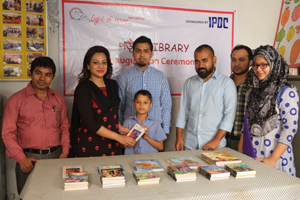 IPDC made significant donations to establish libraries in 9 schools with the help of Light and Hope for the better education of around 300 underprivileged children. It helps a good deal in spreading knowledge and education. A well-stocked library is an asset. By establishing libraries in the underserved areas and distributing books to the children. It also contributes towards encouraging children to build themselves a brighter future and henceforth, serve the community. The unity, empathy, serving mind and generous heart of the people at IPDC to satisfy the poor children’s need was prevalent. With much willingness and co-operation, the company was able to establish a Rural Library triumphantly. 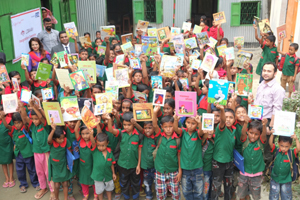 This Porua Library will hold an immense part in the educational development and embellishment of the poor students’ life.These books are open to all students of Agargaon Alok Shikkhaloy School. Nousheen Rahman, Head of Marketing and Corporate Communications, IPDC, WaliullahBhuiyan, President, Light of Hope and senior officials from both sides were present at this event.With enjoyment and enthusiasm IPDC of Bangladesh Limited donated books to the underprivileged students of Nandipara.The goal of the program is to enlighten children with the light of education and hope as well as empower them with the boldness and strength to plan and live a better life. 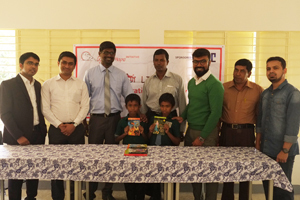 On 16 November 2016, realizing its importance, IPDC handed over books to Nandipara Primary School with the help of Light of Hope’s library project “Porua”. The project also made donations regarding establishment of libraries in 9 schools which are Mojar School, Spreeha Bangladesh (After School Program), Apon Pathshala, Kodom Ali Primary School, Moddho Narshingpur Govt Primary School, Poriborton School, Baluata Sorkari Prathomik Biddaloy, 52 No. Fulkocha Govt. Primary School, and BG Press High School. This was another project that was undertaken with the aim of expanding educational opportunities. With the help of Light and Hope, this project contributed towards the better education of around 300 underprivileged children. The new books enrich their libraries and boosted the culture of reading among the children due to availability of resources. The donated books accelerated the learning process in schools.All of these 9 schools highly benefitted from this initiative. Besides, Poroshmoni Somaj Kallyan has been funded for Purchasing books for Jhenaidah Cadet College Library. AFM Barkatullah, Deputy Managing Director; Rizwan Dawood Shams, General Manager; Nousheen Rahman, Head of Marketing and Corporate Communications and Waliullah Bhuiyan, Chairman, Light of hope; Maruf Islam, Executive Director; Mukul Alam, Director (Corporate Relations) were present at the event. Bringing such a momentous change in a child’s life has never been this convenient and all the credit goes to Distressed Children & Infants International who are relentlessly working passionately to provide the basic yet indispensable rights of the distressed children in our society which we often take for granted but are no less than an inaccessible dream to them. IPDC came forward in light of Distressed Children & Infants International (DCI) . IPDC believes its maintenance is crucial to the prevention of diseases – typhoid, cholera, salmonellosis, bacillary dysentery, tuberculosis, anthrax and parasitic worm infection and hence, IPDC took the initiative of setting up public toilet for the better picture of the society. 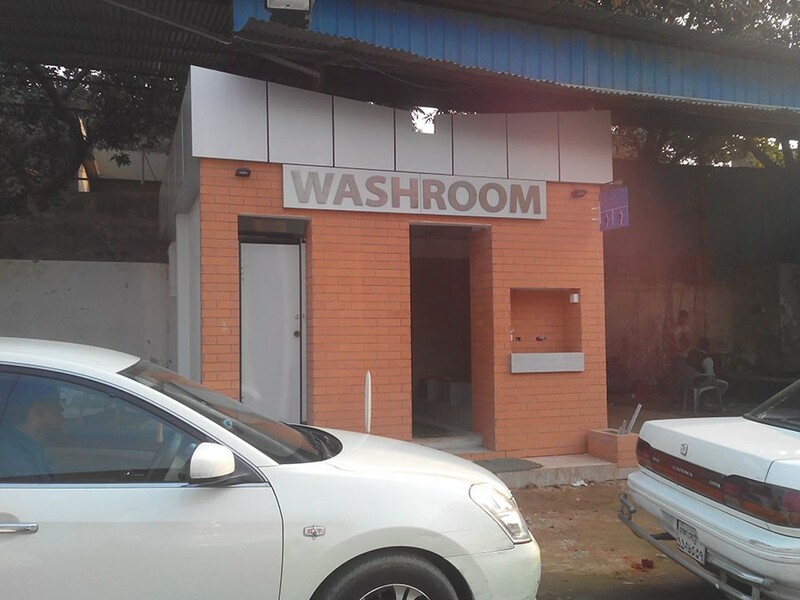 IPDC’s hygienic toilet maintenance(Quantity-1) is situated in Moghbazar Anudip CNG pump. 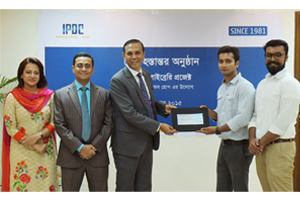 On 4th August 2016, IPDC Finance handed over a cheque worth BDT 5 lac to UCEP Institute of Science and Technology (UIST), Dhaka which gives vocational training and education to the underprivileged children. This donation was provided for educational and health purposes. As part of education, IPDC arranged essay competition and spelling competition for children. This attempt brought out their educational potential as well as provided them with resources to further enhance that potential. With the donation, UCEP purchased educational supports, machineries and instruments for vocational education. For health purpose, the company arranged eye screening camp where doctor screened about 379 children. Among them, 121 children got eye glasses, 250 children got free medicines and 8 children were recommended for better treatment. Around 350 students were benefited by this initiative. The purpose of this donation was to make an effort in providing children with means of becoming self-sufficient. It also provided children with new opportunities to develop themselves for better lives. Mr. Mominul Islam, Managing Director and CEO of IPDC handed over the cheque to Mr. Zaki Hasan, Chief Executive Officer, UCEP, Bangladesh. Mr. A F M Barkatullah, Deputy Managing Director, Ms. Nousheen Rahman, Head of Marketing and Corporate Communications of IPDC and other senior officials were also present at the occasion. IPDC provided emergency support (Dry food, ORS) to the flood effected area with the help of Terre des Hommes Foundation. Around 1500 people were benefitted with this support. For the event, IPDC donated essential materials for Eid day (Semai, Rice, Milk, Sugar etc) to 300 underprivileged people. They donated money for the purchases. The purpose was to share the joy and excitement of Eid celebration with the children. 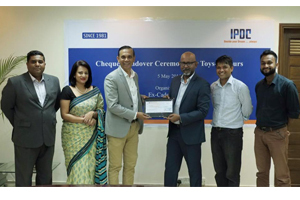 On 4th May, IPDC handed over Sponsorship cheque for the initiative, Toys-R-Yours. IPDC’s donation was used for the betterment of the unprivileged children as well as to purchase toys for these children. Toys boost children’s´ creativity and they help them express their emotions and IPDC takes responsibility for each child to indulge in this. 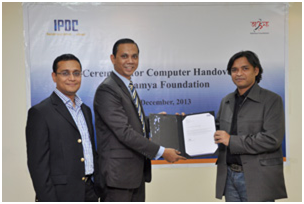 IPDC handed over a cheque worth BDT 1 lac for the initiative, Toys-R-Yours. Mr. Mominul Islam, Managing Director and CEO of IPDC of Bangladesh limited handed over the cheque to Mr. Fida Haq who received it on behalf of the program. Mr. Rizwan D Shams, Head of Corporate Investments and Special Asset Management, Ms. Nousheen Rahman, Head of Marketing and Corporate Communications of IPDC and Mr. Tariqul Haque from Toys-R-Yours were also present at the occasion. IPDC donated money to Bangladesh Law Association for a critical patient. 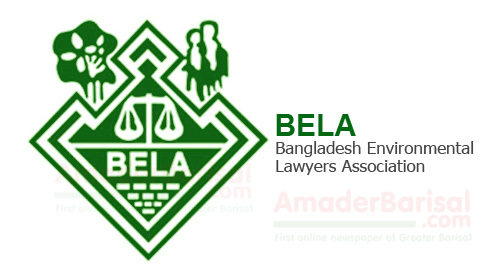 The suffering of the lawyer who had been fighting a deadly disease was comforted with a donation under Bangladesh Law Association. As a part of the CSR projects, IPDC Finance Ltd takes immense pride to be associated with such and more first of its kind noble initiatives, the list of which only gets multiplied with time. IPDC testifies to leave its impression for unbound years to come. On 31st May 2016, IPDC donated bicycles to Terre des Hommes Italia. 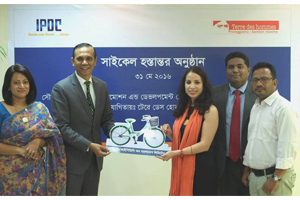 The company donated about 10 bicycles to the school-college going underprivileged girls of North Bengal with the help of Terre des Hommes Italia. IPDC realized that the pledge to spread the light of education does not end in aimlessly building educational institutions but it lies in providing a medium to let them cater to it. Considering the detached parents and kids in this regard, bicycles distributed by IPDC eased the labor of several school goers who walked barefoot every day. This movement not only saved penny for transportation daily but reportedly also came to be an asset for the whole family. These bicycles were distributed among underprivileged school girls of Kurigram and Chilmari Upazila who have to walk miles from their home to reach their schools. Many students in the underprivileged areas refuse to go to school, regardless of it being free, due to lack of cheap transportation. The goal was to encourage girls to go to school by providing convenient means of transportation. Mominul Islam, Managing Director of IPDC and Iole Valentina Lucchese, Country Representative of TDH Italia along with other senior officials were present at this event. 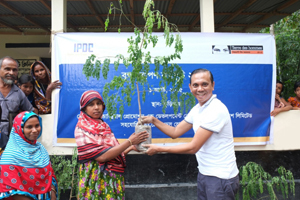 I IPDC Finance Limited with the cooperation of Terre des hommes’ (TDH) could finance the promotion and plantation of 100,000 Moringa trees in Kurigram andBarguna Upazilas. These 100,000 trees planted in northern district of Bangladesh vowed to save the salvaged planet for a sustainable tomorrow. IPDC cautiously chose Moringa for its heavenly benefits. The leaves of Moringa Oleifera are nature's multi-vitamin providing 7 x the vitamin C of oranges, 4 x the calcium of milk, 4 x the vitamin A of carrots, 3 x the potassium of bananas, and 2 x the protein of yogurt. Cooking demonstrations on Moringa khichuri were held in 47 Community Clinics and 5 Family Welfare Centers. A total of 4,800 children and their mother/caregivers attended the sessions. Field staff conducted awareness sessions on benefits of Moringa leaves for improvement of nutritional status. Apart from the cooking demonstrations, Moringa cutting were planted in 47 community clinics from 31 unions (in Kurigram and Barguna districts). 446 families received three pieces Moringa cutting to plant in their home. 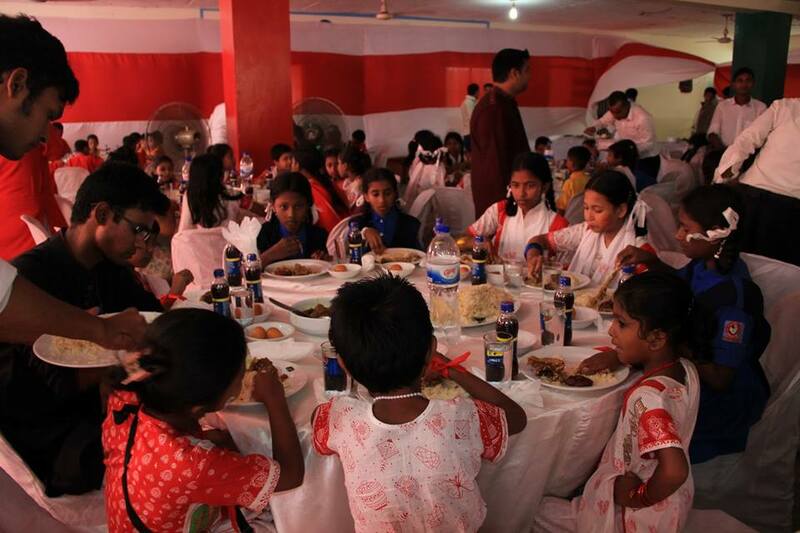 IPDC arranged an event on the day of Pohela Boishakh to entertain 183 underprivileged children and there were snacks, lunch, dress and lots of amusement activities for the children. Not only was it a day filled with exciting events but it also familiarized children with our culture and tradition. AFM Barkatullah, Deputy Managing Director, Nousheen Rahman, Head of Marketing and Corporate Communications from IPDC, WaliullahBhuiyan, Chairman, Light of hope and KorviRakshand, Founder, Jaago Foundation were also present at the occasion. 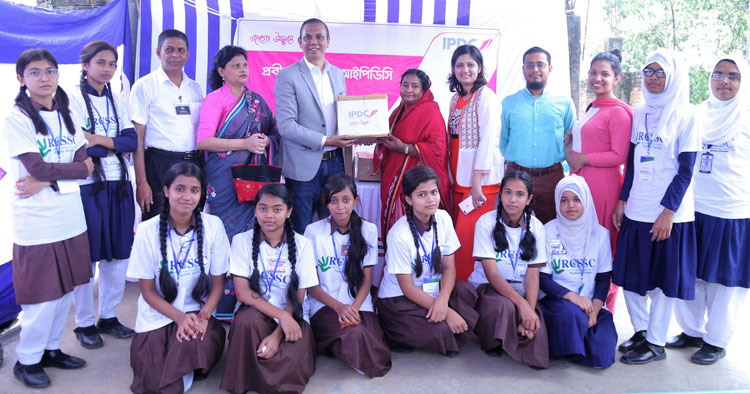 Nousheen Rahman, Head of Marketing and Corporate Communications, IPDC; KaziArifur Rahman, Manager, Special Asset Management, IPDC and AhmendImtiaz Jami, Founder and President, Obhizatrik Foundation were present at the occasion. IPDC hands over books to 10 no. Panjipohori Government Primary School. IPDC handed over a cheque to Porua to set up library at schools for the underprivileged children. Mr. A F M Barkatullah, Deputy Managing Director and Ms. Nousheen Rahman, Head of Marketing and Corporate Communications of IPDC and Mr. Mukul Alam, Director. The purpose of the grant was to provide financial assistance to two meritorious students in need. 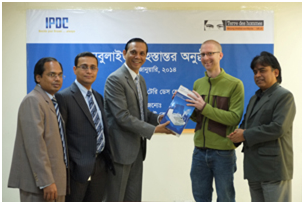 The cheque was received by the Editor of ProthomAlo Mr. Matiur Rahman on behalf of the Trust. Mr. A F M Barkatullah, Deputy Managing Director of IPDC and other senior officials of both the firms were also present at the occasion. 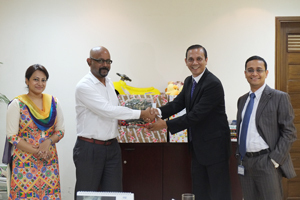 Mr. Mominul Islam, Managing Director and CEO, IPDC handed over the donation to Mr. MD. Tariqul Haque, Chairman, Adamya Foundation. Mr. A F M Barkatullah, Deputy Managing Director of IPDC was also present at the occasion.. The Nebulizer Machines will be distributed to Hospitals in Kurigram to support the under privileged people of the area, victim to the cold wave. Mr. A F M Barkatullah, Deputy Managing Director and Mr. Dilip Kumar Mandal Chief Financial Officer of IPDC were also present at the occasion. 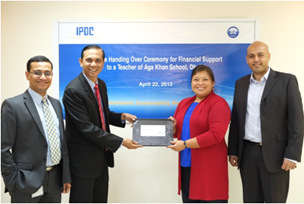 Bangladesh Limited handed over a grant to Ms. Nicola Sum, Head of Education of The Aga Khan School, Dhaka to support a teacher to meet her household expenses while her spouse was recovering from physical trauma and employment disability.